If you ever wanted to the opportunity to shop a huge inventory of discount Hermès, Chanel and Vuiton then you won't want to miss Portero's sale event of the summer. Without exaggeration this is the best Portero sale we've ever seen. Markdowns are an extra 10%, 20% and 30% off almost everything you’ve been dreaming of owning. We love checking steady stream of new arrivals because you never know what treasure you'll discover and want to snap right up for your own closet. Plus, they guarantee authenticity on every single item, which is key when shopping pre-owned and vintage luxury. How good is this sale? It all depends on how often do you fall upon classic Chanel bags discounted up to 30% off of the Portero’s already discounted prices. In addition to the fabulous bag collection there is a large assortment of Chanel jewelry and lots of great luxury accessories. While browsing we found this Chanel stich tote in very good condition. 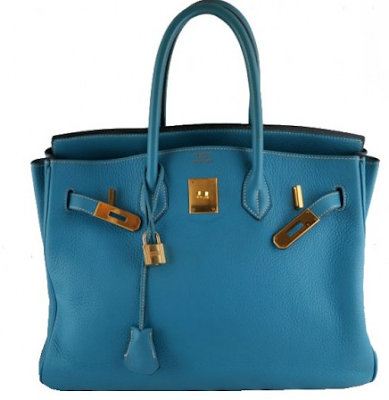 This bag normally retails for $2,200 the site has it marked down to $999 and with 30% of you’ll pay just $700 for the bag. Seriously, when was the last time you saw a Chanel bag priced at just $700? There’s more. A Louis Vuitton Pochette is a fashion staple and when it’s reduced to $280 from $550 it’s hard to resist not buying the black and the red. Right this way you can snag this Chanel Classic for under $1000 or this Hermes 35cm Blue Jean Birkin, which is priced under $10,000. We wouldn’t mind taking this $489 Vuitton Monogram Vernis Keepall around the world either. We could go on and on and on pointing out great items to buy, but half the fun is looking yourself. In all there are more than 500 discounted bags, jewels and accessories included in this spectacular sales event. Just keep in mind that the promotion ends August 8. We suggest that you don’t hesitate because this sale is expected to sell out bigger a Beyonce concert.